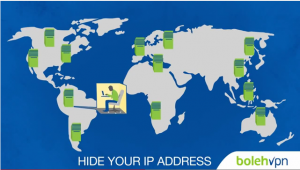 BolehVPN is a top VPN provider that offers encryption and IP changer services as well as game hosting, Seedbox hosting and VoIP. BolehVPN servers are 100 percent independent and do not communicate with the database of clients. What’s more, BolehVPN never logs your activity so your browsing information is completely secure. BolehVPN is compatible with Windows, Linux and Mac operating systems as well as Android and iOS powered mobile devices. The GUI is easy to use and gives you access to servers in seven countries. BolehVPN also supports P2P traffic. BolehVPN not only offers encryption and IP changing services but can also be used for Seedbox hosting, VoIP and game hosting. With Seedbox hosting, you will have access to a secure server for the purposes of securely downloading and uploading digital files at a much faster speed than a standard internet connection. VoIP enables you to secure your Mumble voice chat server while gaming hosting allows you to create a private server for a select number of games. BolehVPN is not only available on your Windows, Mac or Linux operating system but it is also available for iOS and Android devices. When used on your smartphone, your information is encoded and cannot be tracked by any third party even when you are at an unsecured Wi-Fi spot. What’s more, there are no bandwidth restrictions and full subscribers are eligible for a range of free gifts and bonuses. The VPN service can be used in different configurations, most of which use outstanding 256 bit AES encryption with an RSA 2048 handshake encryption and SHA 512 HMAC data authentication. The handshake could possibly be solider, but this is otherwise a perfect setup. Streaming/surfing configurations use weaker 128 bit AES encryption, but as these are purposely designed to prioritize speed over security, this seems fair to users. BolehVPN supports SOCKS proxying, which is very useful for routing personal programs through a VPN, rather than all of a device’s internet traffic. SOCKS proxies are secured by the same AES 256 encryption used for “Fully Routed” connections. Most connections use shared IPs however; dedicated IP addresses are also available. This is perfect for discretion, because with several individuals sharing the same IP address, it’s difficult to determine who is responsible for what when using the internet. When it comes to size BolehVPN may not have the largest network. 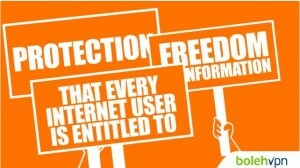 Still, they have developed an amazing reputation in the VPN market by creating a customer centric VPN service that supports its customer’s privacy, helps them overcome censorship, and provides a safe environment for them to anonymously surf the internet. Server locations include United Kingdom, United States, Canada, China, Hong Kong, Luxembourg, Netherlands, Germany, Switzerland, Sweden, Italy and France. BolehVPN supports multiple VPN protocols including L2TP, and OpenVPN. For those unfamiliar basically OpenVPN is the most secure and ideal for connecting from Linux, Mac, or PC. While L2TP extends compatibility to mobile devices such as Android, iPad, iPhone, etc. Once you get your BolehVPN software installed, you should be able to connect and disconnect with ease. The software is very easy to use. It’s all laid out in their software dashboard, and connecting is pretty easy. When you subscribe to BolehVPN network you have complete access to all of their high speed servers. They provide unlimited data usage for all their members across their entire network. You can access streaming programs like Hulu, Pandora, Netflix and other media just as fast as your regular internet connection. The location of the server does not affect the speed but it’s affected directly by the speed of your internet. The use of BolehVPN also enables you to speed up your P2P while increasing the security and privacy of your personal information. BolehVPN is home to the best customer care support in the VPN market. The founders of the company themselves come to the rescue of their customers for troubleshooting. BolehVPN gives first class customer care support to their subscribers, and is certainly interested in what their customers have to say. They are diligent and honest enough to put the subscribers as the priority, which is something that other VPN service providers need to embrace. BolehVPN customer care representatives never hesitate to help out their customers, which is something that clearly reflects the dedication and professionalism of the company. As stated earlier, BolehVPN supports multiple VPN protocols including L2TP and OpenVPN. By doing so, they offer support for a wide variety of users. Browser compatibility: BolehVPN supports Firefox, Internet Explorer, Safari, Opera and Google Chrome. Mobile compatibility: BolehVPN supports android, iPod Touch, iPad and iPhone devices. System compatibility: BolehVPN supports Windows (XP, Vista, 7), Linux, and Mac OS X.
BolehVPN has custom-made software for Mac, Windows and Android devices. Their Mac and Window customers install with just a click and have simplified graphical user interfaces. Many of the mechanical details are automatically dealt with by their software so no technical expertise is needed to use the BolehVPN GUI. Some few simple clicks and you are connected and using their service. BolehVPN also have a custom Android app. They have some laid out guidelines to walk you through downloading and configuring the OpenVPN connect app from OpenVPN technologies, Inc. for iOS devices to use their service. What’s more, they provide step by step illustrated guides to manually configure OpenVPN on Linux, DD-WRT Routers, Asus-WRT Merlin Routers (AC68, AC56, and RT-N66) and Sabai Technology Routers. They also have illustrated guides to configure their L2TP for Mac, iOS, and Android devices. BolehVPN continues to set the standards in-terms of bandwidth, speed, security, customer satisfaction, online anonymity, and more importantly, complete user anonymity. With the present set of resources and services, BolehVPN has managed to attract a huge number of satisfied subscribers, and with an increase in resources, BolehVPN can achieve more. The advantages of using BolehVPN as your VPN service provider include mobile apps for android, easy to use Mac and Windows software, discounted pricing for term plans, OpenVPN protocol for secure encryption and transparent no-log policy. BolehVPN provides a reasonably fast service for the size of their network. If you’re looking for a VPN service provider that believes in true internet freedom, takes privacy seriously, and has individual customer focus, BolehVPN is a good option.